Want great BBQ Ribs but only have a Gas Grill? This is the best method for making the most of the equipment you have. Barbecue is a process of cooking meats at low temperatures for long periods of time in a smoky environment. 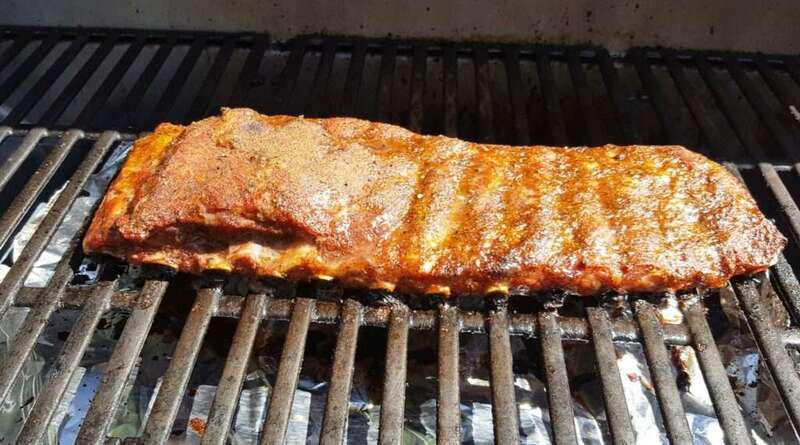 Gas grills are not known for their ability to produce a lot of smoke flavor, but making good ribs with a barbecue flavor is possible, so if this all you have, follow these instructions for the best BBQ ribs possible. These steps will produce tender, flavorful ribs that might not win any competitions, but will certainly satisfy. For the purposes of this article, I am using a single rack of pork spare ribs. If you want to use baby back ribs, reduce the cooking time 5 minutes per step. For spare ribs, however, the total cooking time will be about one and a half to two hours. The grill used to make these ribs must be large enough to indirectly cook the entire rack. Small, two burner gas grills typically don’t have the space necessary. If the heat source is going to be on one side only, the ribs will need to be rotated every thirty minutes to allow them to cook evenly. The ideal rack of ribs is rectangular in shape and even in width and thickness. When buying ribs, look for this shape. 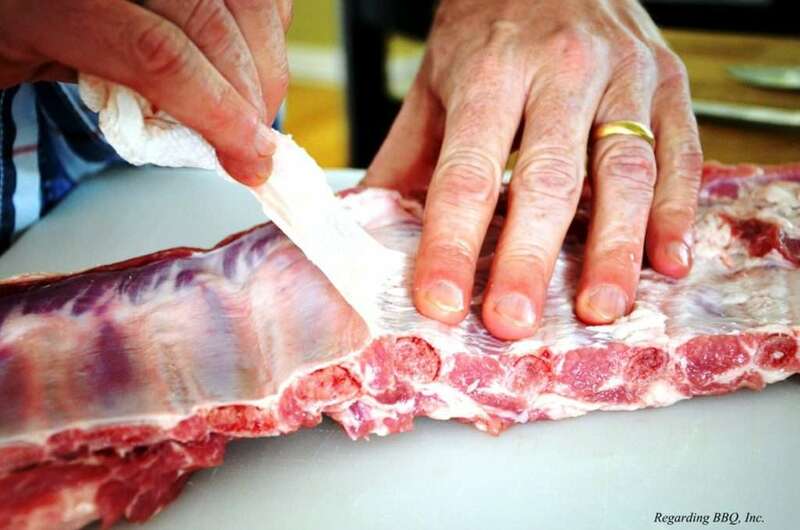 When preparing ribs for cooking, trim away any excess pockets of fat. There is plenty of fat mixed into the meat to keep the ribs moist. Excess layers of fat will produce a greasy rib. Also, trim away any loose pieces, they will simply burn on the grill. Next, turn the ribs meat side down and remove the membrane that covers the bones. Cooked, the membrane will be tough and it also prevents flavor from getting into the meat. The best method for removing the membrane is to use a blunt knife, like a butter knife. Lift away the membrane on one end of the rack and grab it with a paper towel. The membrane is slippery, but the paper towel allows for a good grip. Now, gently pull the membrane away. It might take a few attempts to get all of it, but with a little practice, it becomes easy. Now it is time to season the ribs. 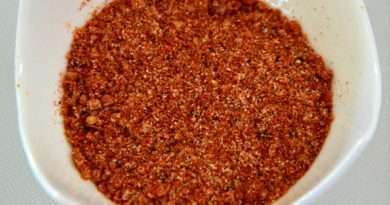 There are many great rubs out there, but I find that making your own is not only less expensive but allows you to choose your flavors. 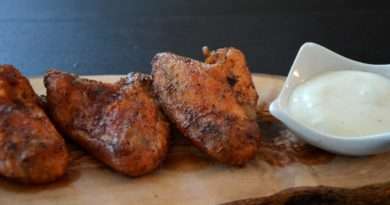 I have several great rib rub recipes you can use. 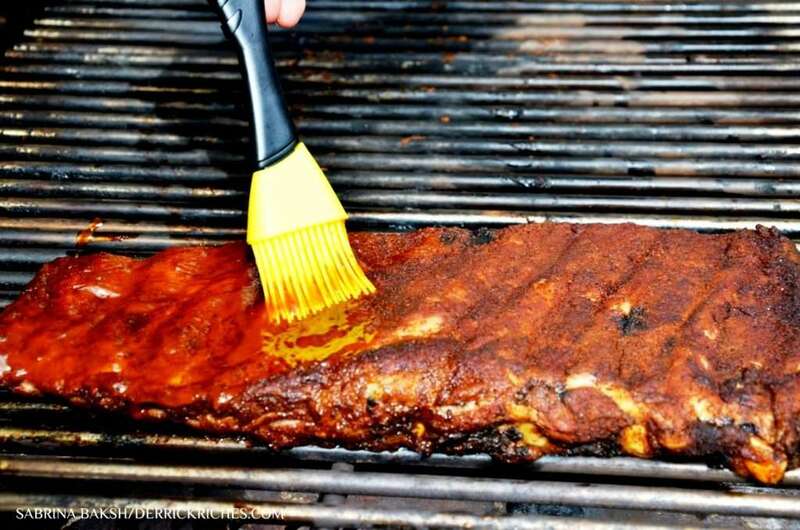 The secret to applying a rub is to start with a dry rack of ribs, meaning that any excess moisture has been mopped away with a paper towel. Sprinkle the rub over the ribs (there really isn’t any rubbing required). What sticks to the ribs is the amount of rub needed. Get the rub evenly distributed over the entire rack, focusing the majority of it on the meat side. Making smoke on a gas grill isn’t easy, particularly at low cooking temperatures like the ones used for this method. It is possible, however. Start by removing the cooking grates that won’t be used for holding the ribs if possible. This will provide access to the burners. 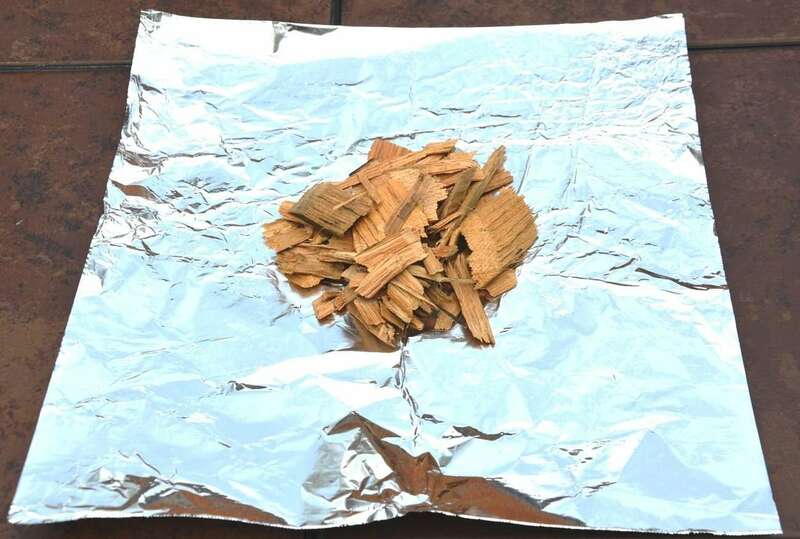 Next, take dry wood chips or chunks (chips produce more smoke quickly, but don’t last long while chunks are a little harder to get burning, but produce smoke longer). Place the wood onto square sheets of aluminum foil and wrap them loosely into balls. About half a cup of chips per smoke bomb is ideal. Using a sharp knife, poke several holes into the ball on all sides. This will allow the smoke to escape. Place the smoke bombs over the lit burners on high. When smoke begins to be produced, reduce the heat and put the ribs on the grill. Place the ribs on the gas grill. 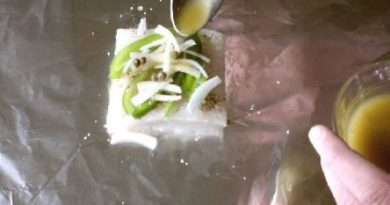 They are going to cook indirectly through the whole process. No part of the rack should hang over one of the lit burners. Space the rack as evenly as possible. 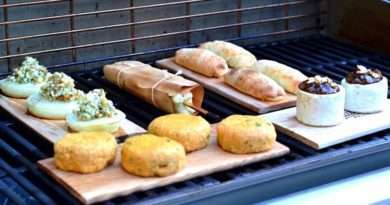 If your grill is large enough, have a burner going on either side of the rack. With some grills, the rack will fit over a single burner space. If you have a very large gas grill with at least four burners, place the rack between the two end burners. The grill should run at an internal temperature around 300 degrees F (150 degrees C). The smoke bombs should be producing smoke. Once the ribs are in place, close the lid and allow the ribs to cook for 30 minutes. Do not lift the lid during this time (unless there is an obvious flare-up inside). After thirty minutes of cook time, the ribs should be warmed through, and have a wet appearance on the surface. They are mostly cooked and should appear browned on all sides. If they are not, continue cooking as is for an additional 10 to 15 minutes. If the cooking appears uneven rotate the ribs. If the ribs are sufficiently browned then it is time to wrap them. This step helps to make the ribs tender and is done by steaming the ribs. 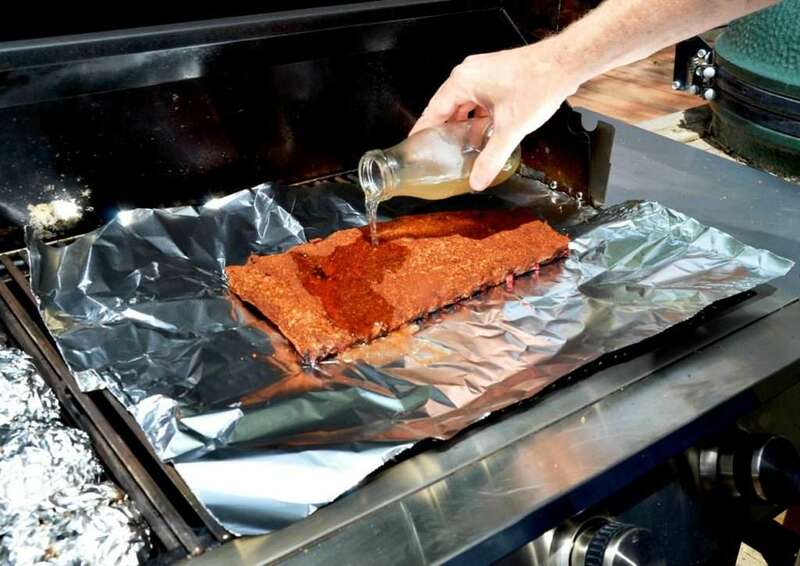 Place the rack of ribs on a large piece of aluminum foil, large enough to wrap the entire rack. 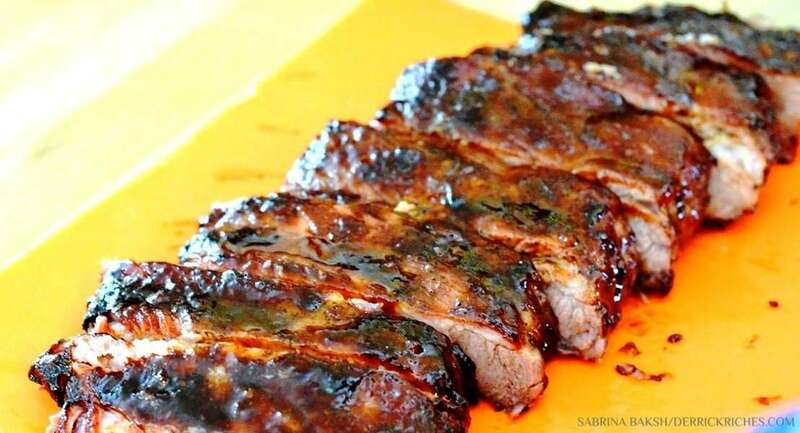 Lift up the edges of the foil and pour one-half cup of warmed apple juice onto the ribs. Fold the foil together tightly. This should be a near airtight seal to hold in the moisture. With the rack of ribs wrapped, close the grill lid and turn up the heat on the indirect burners so that the grill temperature reaches around 375 degrees F (190 degrees C). This will cause the apple juice to boil and steam the ribs to make them as tender as possible. Keep the lid closed and continue cooking for 30 minutes. At this point, the ribs should be nearly cooking and by that, I mean about 165 degrees F (75 degrees C). While this is a safe temperature for serving the ribs, it isn’t high enough for them to be completely tender and as close to perfect as possible. Carefully open the foil and examine the ribs. You can test the temperature, but that isn’t very conclusive with ribs since the bones will heat at a different rate than the meat. 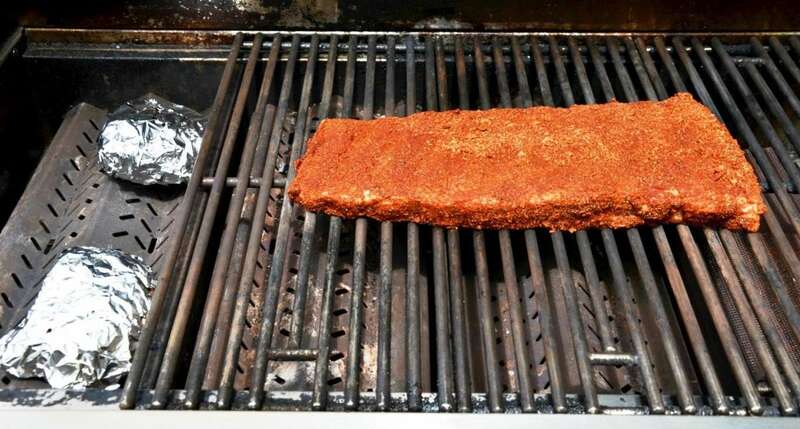 The ribs should appear cooked and the rack should be relatively loose. Bending the rack of ribs by picking up one end with a pair of tongs should show this. The ribs should bend but not come apart. If the ribs do not appear cooked, close up the foil and continue cooking for an additional 10 to 15 minutes. If the ribs do appear cooked, remove them from the foil and place back on the grill. Examine the rack to determine if they need to be rotated for even cooking. Close the lid and adjust the grill burners to hold a cooking temperature around 250 degrees F (120 degrees C). Once the ribs have dried on the surface and are cooked through to the desired doneness (the ideal temperature is around 185 to 190 degrees F) it is time to apply the sauce. If you don’t want sauce on your ribs, remove them now and move to the last step. Apply only warmed barbecue sauce. It should be heated to a temperature around 150 degrees F. Cold sauce will cool the ribs. Apply the barbecue sauce in three thin layers. Space each application apart by five minutes to allow the sauce to cook into the ribs and thicken. After the last application, close the grill lid and wait five more minutes before removing. When the ribs are finished, remove them from the grill and turn it off. 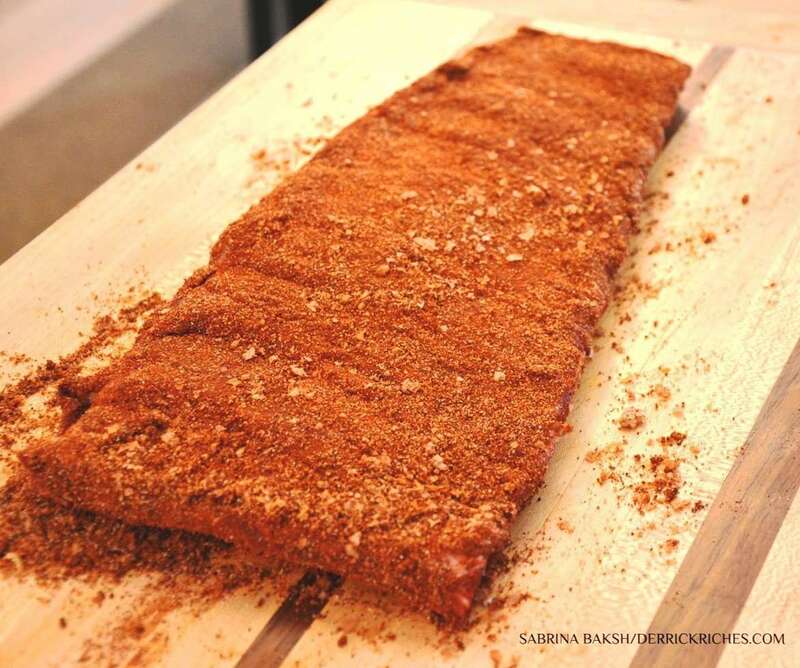 Place the ribs on a large cutting board. 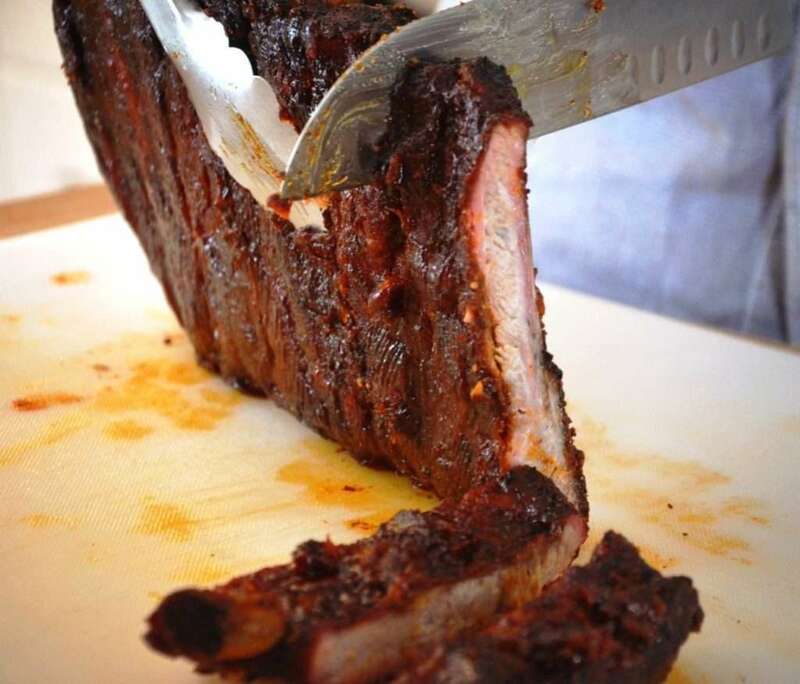 Using a pair of tongs, hold the ribs on their edge, bone side towards you and gently slide a sharp knife between each bone. You should be able to see the bones in the rack and carving should be easy. Do not slide the knife along the edge of the bone, but aim to stay equally between the two adjacent bones, for evenly cut ribs. Once cut, serve immediately. I typically just eat them right off the cutting board.